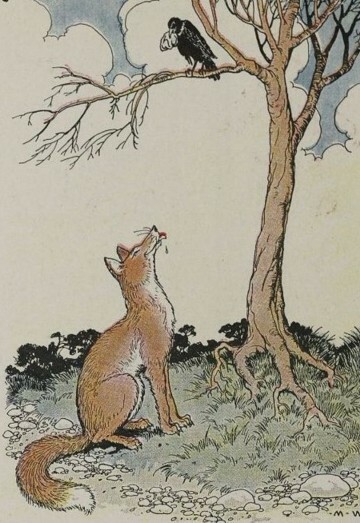 One day, the fox saw the crow fly pass by with a piece of meat in its beak. The crow came to rest on the bough of a tree. The crow was touched and she open its mouth to caw her best. But the moment the crow open her mouth, the piece of meat dropped off from her mouth on the ground. The fox quickly come up and snapped away the piece of meat. Then the fox went away happily. Don’t listen to the advice of flatterers.